A BJP legislator Bhima Mandavi and four security personnel have been killed in a Maoist attack in south Chhattisgarh’s Dantewada region, a senior police officer said on Tuesday. 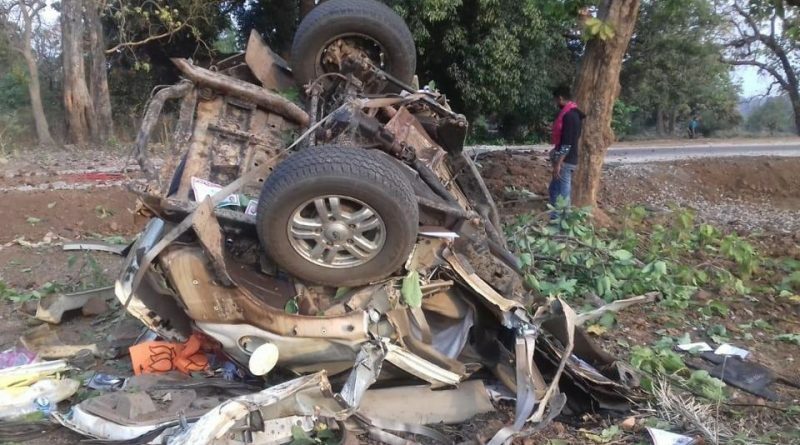 Police said Maoists had blown up an improvised explosive device on the road when the Dantewada legislator Bhima Mandavi’s convoy was passing through the district. The BJP legislator and 4 security personnel were killed in the attack, said Dantewada district police chief Abhishek Pallav. The incident took place just two days before the first phase of voting for the Lok Sabha elections. The attack took place between Kuakonta and Syamgiri in Dantewada. In the aftermath of the explosion, a deep depression could be seen in the ground. The mangled remains of the blown up vehicle could be seen on the ground. A reinforcement of CRPF contingent has been rushed to the explosion site. Chhattisgarh police chief DM Awasthi had earlier confirmed the death of five jawans. Condemning the Maoist attack, PM Modi said the death of a BJP karyakarta was “deeply anguishing”. “Shri Bhima Mandavi was a dedicated Karyakarta of the BJP. Diligent and courageous, he assiduously served the people of Chhattisgarh. His demise is deeply anguishing. Condolences to his family and supporters. Om Shanti. “Strongly condemn the Maoist attack in Chhattisgarh. My tributes to the security personnel who were martyred. The sacrifices of these martyrs will not go in vain,” the PM tweeted. Chhattisgarh Chief Minister Bhupesh Baghel has called a high level meeting over the incident . The attack bears similarity to the one that took place in the Naxal hotbed of Bastar just ahead of the assembly elections in May 2013. Twenty-seven people, including senior Congress leader Mahendra Karma and former Union minister V C Shukla, were killed in the ambush. Ahead of the assembly elections in November last year, a CISF personnel and three civilians were killed in Dantewada when an IED planted by Naxals tore through a bus.